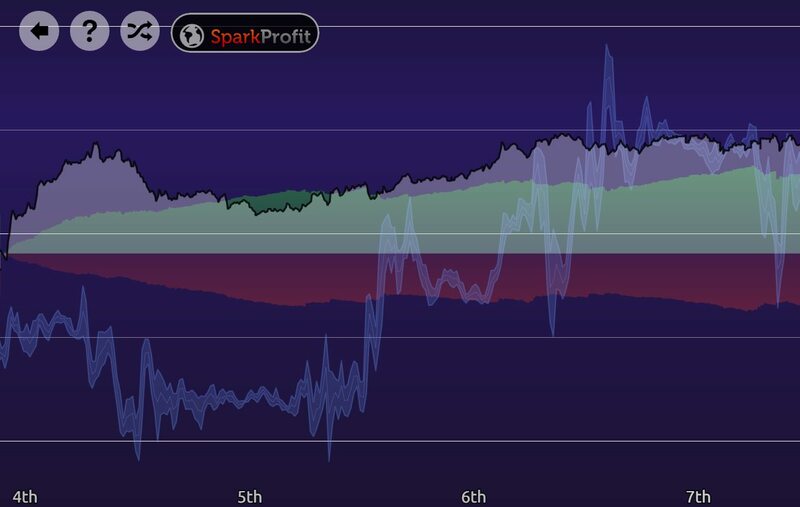 SparkProfit lets you earn points whether you predict the market will rise or fall. It’s the difference between the starting price and your prediction that makes the value of your trade bigger or smaller in the game. In the real markets, traders usually lose money if the stock they buy drops (unless they are shorting the trade, but more on that another time). The trick, just like SparkProfit, is to buy when you think the price is low compared to its true value and you believe it is going to rise. But, as any SparkProfit player knows, stocks, currencies and other markets can be rather unpredictable. No matter what has happened historically there are many variables that can affect the direction of the market. So what should you do? Many day traders constantly watch the markets ready to place a buy or sell order with their broker depending on movements in the market. And that is a good strategy which can maximise your profit by locking in a sell order at the peak and it can also protect you from losses if the market turns. But for many of us who have busy lives with jobs and other commitments, it’s a strategy we simply can’t adopt. We are time poor so we need a different plan. This is where a Stop Loss Order comes in. 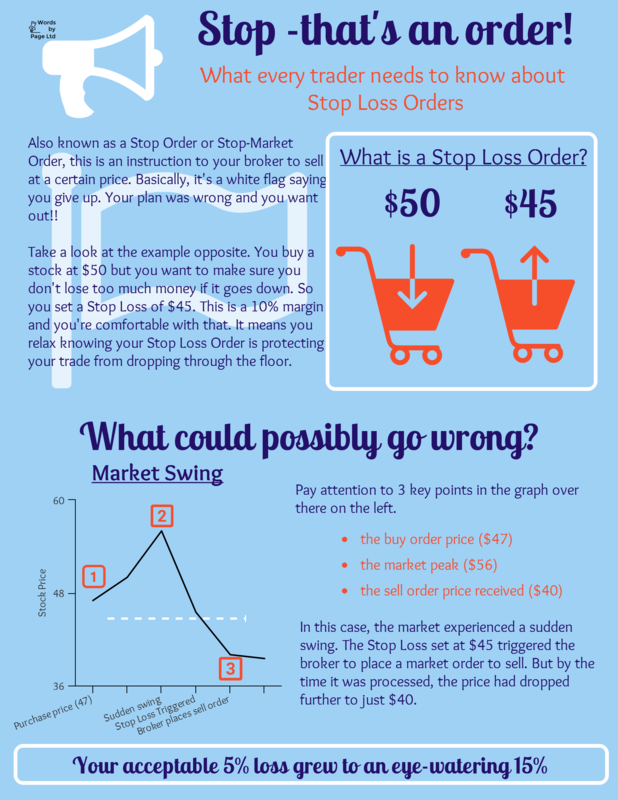 A Stop Loss Order is an instruction to the broker to sell at a certain price. That way you can relax a little knowing that even if the market drops, your losses will be capped even when you’re looking the other way. 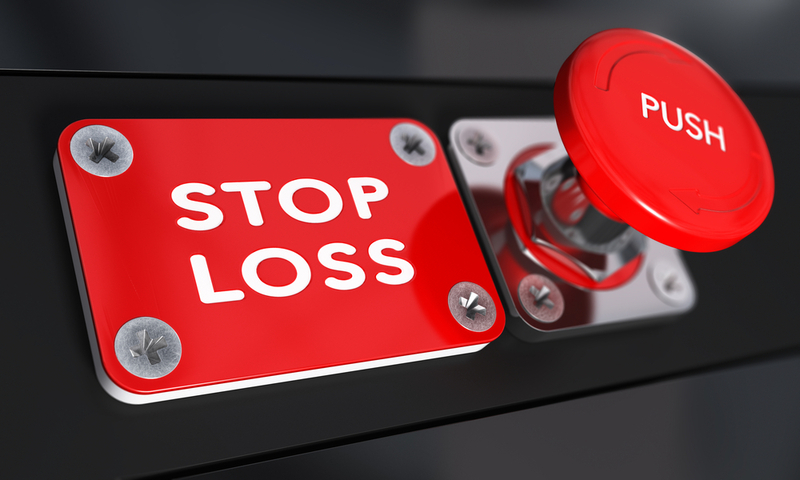 Why aren’t Stop Loss Orders any good at stopping losses? 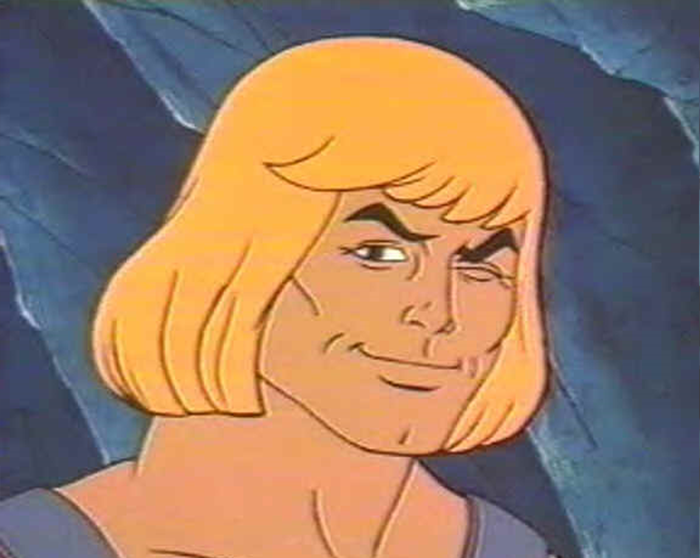 Wait – what? It’s true – like any market order, your broker can’t guarantee the price you’ll get so you could lose far more than you wanted. 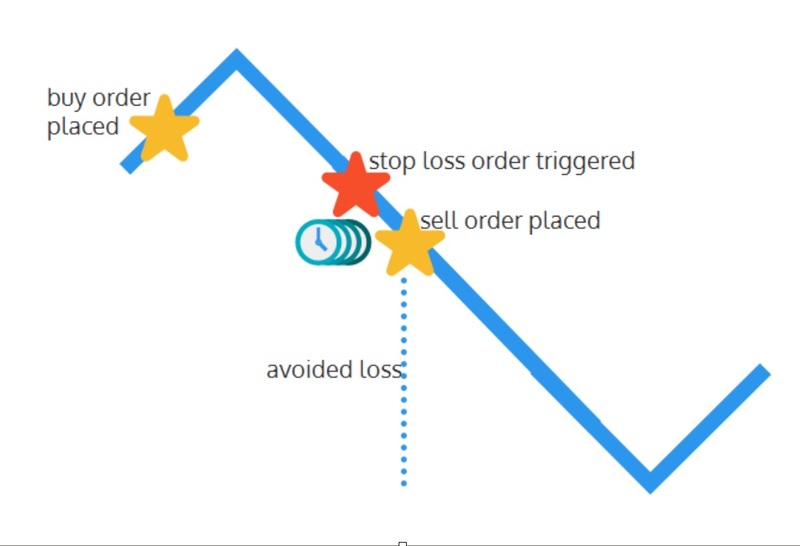 The Stop Loss Order in the graphic above triggered the broker to place a sell order but time passes between the two events. In a fast market, the price may have moved significantly in that time so you lose a lot more than you allowed for. So Stop Loss Orders are not as good as they first sounded, are they? And that got us thinking. There should be a better way to trade. One where you don’t face losing everything. Doesn’t that sound better? Some Interesting Levels In The FX Markets This Week. We are testing some interesting levels on the four major dollar pairs – we’ll quickly review the charts for the week and highlight any risk events to be aware of. USDJPY To Retest The Recent Highs? A couple of interesting levels on the USDJPY worth keeping an eye on. 121.20 – some interesting market structure here recently with support (demand) turning into resistance (strong supply in mid March). We could imagine a scenario where there might be some more sell orders here. We are at the 78.6 retracement for those who like order in the universe with their breakfast. 122.05 – some sort of reaction at this level given the previous supply is within reason. We had previous strong supply and we have the 161 abcd completing into the highs. The yen looks quite this week in terms of planned risk events. We broke the recent lows last week and are not trading near the 1.46. Whether you consider this a buy or sell opportunity, its a significant level for cable. The next level of significant support for GBPUSD is the 1.42 to 1.4350 area. Where is the bottom for cable? EURUSD: A Bounce Before Parity With The Dollar? The long term charts still hints at the possibility of parity with the dollar for euro. Closer to home, the recent lows from the start of March where the bears were trapped may give a small bounce. The main event for Euro is on Wednesday 15th this week with the interest rate announcement and the usual press conference madness for this pair. We are currently testing the bottom of the range on this pair. You can trade all these pairs, risk free, with SparkProfit.